I've been playing the Star Wars Battlefront Beta and I need to say this game fulfills the fantasy of being in the Star Wars universe. That doesn't seem like a big statement by itself so I'm going to say it again. This game fulfills the fantasy of being in the Star Wars universe. And that's all I really wanted. The gameplay is acceptable. It doesn't feel super slick or modern. It doesn't have all the bells and whistles we're used to in our shooters these days. But it's not bad. It's just fine. The graphics are beautiful. I typically don't even think about graphics these days but I immediately noticed how gorgeous this game is. This is the prettiest game I've ever seen. I've been wracking my brain trying to think of anything that surpasses Battlefront in terms of graphics and I just can't think of anything. It's amazing eye candy everywhere. For the first time in years I found myself stopping to just watch things unfold in front of me and admire the graphics. Even though the beta only had 3 modes to check out they were fun and varied. Ship combat is a ton of fun on the Hoth map and that makes me super excited for one of the modes that's not in the beta, Squadron combat. I can already imagine myself sinking so many hours into flying X-Wings and Tie Fighters online. 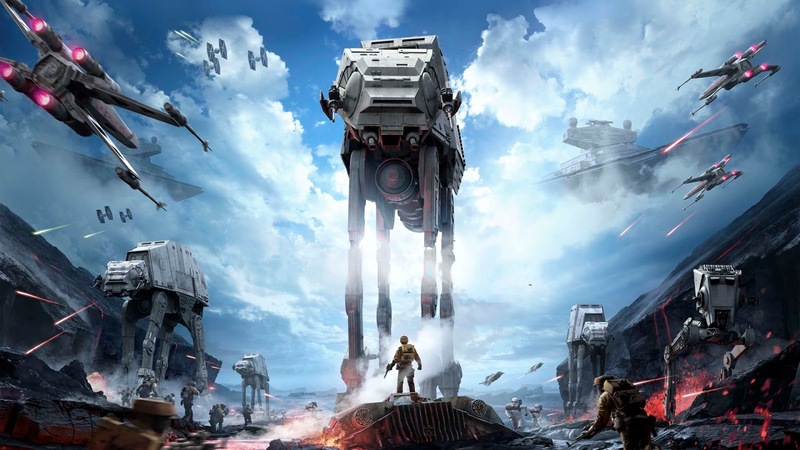 Without knowing it, Battlefront is what I've been craving in a Star Wars game for years. It makes me feel like I'm in the Star Wars universe and that's something hard to qualify. The game scratches the Star Wars itch inside me and I know I'm going to pick it up on day 1.